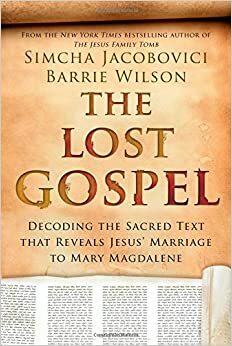 Review of “The Lost Gospel” by Jacobovici and Wilson | XKV8R: The Official Blog of Robert R. Cargill, Ph.D. Except it’s NOT lost, and it’s NOT a gospel. Since I’ve already been bombarded with questions from students and readers about the latest claims made by Simcha Jacobovici and Dr. Barrie Wilson in their new book, The Lost Gospel, I thought I’d post a quick response to this latest round of absurdity by repeating and re-posting some of the comments I made over a year ago in a post announcing my spring 2014 University of Iowa course in Syriac – a post that dealt (almost prophetically) with many of the claims made in this new book. You can read most of Mr. Jacobovici and Dr. Wilson’s book online (and search for the parts that interest you) at Google Books here. Mr. Jacobovici’s new book essentially claims that the 6th century CE Syriac language version of a Greek pseudepigraphical story entitled Joseph and Aseneth (which I discuss in my class “Banned from the Bible: Intro to Pseudepigrapha and Apocrypha” course at Iowa) is a “gospel”, and should be read allegorically, but only after replacing every mention of Joseph with the name “Jesus”, and every mention of Aseneth with “Mary Magdalene”. Now, if your first thought is, “WTF? This is just as problematic as the Bible Code dude, who attempts to read every passage in the Bible as an allegory for every modern event, from the Invasion of Iraq, to the Wall Street Crash, to President Obama’s election, etc.”, then you’re right on the money. It is precisely that silly – same interpretative technique, same lack of evidence, same wishful speculation. The same guy who claims to have discovered the route of the Exodus, Atlantis, the nails of the cross, the tomb of Jesus (with Jesus still in it! ), and another tomb of people celebrating Jesus’ resurrection (with Jesus still in the other tomb), has now written a book claiming “evidence” that Jesus was married to Mary Magdalene, by swapping out the names of Joseph and Aseneth and replacing them with the names of Jesus and Mary Magdalene. There is a reason that the scholars of the world are not paying any attention to this latest so-called “discovery”: there’s nothing there. First things first: Mr. Jacobovici’s The Lost Gospel is neither “lost” nor a “gospel”. Scholars have known about and have studied the Syriac version of Joseph and Aseneth, located in the British Museum, for a very long time. Written by an unknown West Syriac writer dating to the late 6th century CE, the author composed an Ecclesiastical History that included a translation of part of a lost Ecclesiastical History by the Greek writer Zacharias Rhetor. The work is commonly referred to as Pseudo-Zacharias Rhetor. This Syriac text is of interest because books 1-2 of Pseudo-Zacharias Rhetor contain a Syriac translation of the History of Joseph and Aseneth, which was often skipped in English translations because it is already known in the Greek. Keep in mind that the story of Joseph and Aseneth has been well documented over the years, both by my adviser at Pepperdine, Dr. Randy Chesnutt, who wrote his dissertation on Joseph and Aseneth, and by my Duke colleague Dr. Mark Goodacre, who has edited an Aseneth Home Page now for years. Second: We already know why the story of Joseph and Aseneth was written. The story of Joseph and Aseneth is a well-known, ancient apocryphal expansion of the biblical account of the patriarch Joseph’s marriage to Aseneth, the daughter of the Egyptian Priest of On (Heliopolis). The story of Joseph and Aseneth was composed to solve the later theological problem of Joseph, a Hebrew patriarch, marrying a non-Israelite woman (Aseneth), in direct violation of biblical commands (albeit later commands) that prohibit Hebrews/Jews/Israelites from intermarrying with other peoples, for instance, those found in Deut. 7:3; Josh. 23:12; Ezra 9; and Neh. 13:25. As prohibiting intermarriage became a bigger and bigger deal in the Second Temple period, many Jews began to see the problem with Joseph’s marriage to Aseneth, as Joseph was said to have not only married an Egyptian, but the daughter of an Egyptian priest! Enter Joseph and Aseneth, which was composed like so many pseudepigraphical stories of the Second Temple period and early Christian centuries to “explain away” the problem. 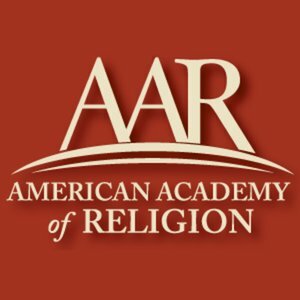 We find these same apologetic techniques used in early Rabbinic writings as well as the Aramaic Targums, which clean up the stories of the Jewish Patriarchs by explaining away anything that might be perceived as a misdeed. The popular ancient love story of Joseph and Aseneth serves an apology explaining why a righteous Israelite patriarch like Joseph would marry the daughter of a pagan priest. And the solution is a simple one: Joseph and Aseneth explains that Joseph’s wife, Aseneth, first converted to monotheism and belief in the Hebrew God before she married Joseph (a detail the Bible obviously “left out”). See? All better. And that’s basically it. The biblical account says Joseph married an Egyptian woman, so Joseph and Aseneth explains that Aseneth first converted, and therefore was eligible to be married to Joseph. Third: The Syriac account of Joseph and Aseneth in Pseudo-Zacharias Rhetor does not talk about Jesus and Mary Magdalene, and simply substituting names does not make it so. However, the Syriac account is still noteworthy because just prior to his retelling of the story, the author writes a letter to a certain Moses of Ingila, asking for a translation and whether there is a deeper allegorical (θεωρία) interpretation of the story beyond the literal narrative. Some have argued that Moses of Ingila’s response attempts to interpret the story of Joseph and Aseneth allegorically, as a gnostic union of the soul (represented by Aseneth) with the divine Logos/Word of God (represented by Joseph). Likewise, there have been many who have argued (largely unsuccessfully) that the text is an allegory, with Joseph symbolizing anything from Jesus to the nation of Israel. For her part, some scholars have understood Aseneth’s description as the “Bride of God” in 4:2 as representative of a redeemed Israel, or of the matriarchs of the Bible, or perhaps even the practice of voluntary virginity, which was increasingly popular in Christian circles in the late first and early second centuries. The simplest answer is that one who is now a “bride of God” is one who is a “daughter of God”, i.e., “a Hebrew” (and no longer an Egyptian, at least for religious purposes), in much the same way that a “son of God” represents any “child of God” in the Hebrew text. Keep in mind that there are many “sons of God” mentioned in the Hebrew Bible/Old Testament that appear to be referring to heavenly beings, from Job 1:6: וַיְהִי הַיּוֹם וַיָּבֹאוּ בְּנֵי הָאֱלֹהִים לְהִתְיַצֵּב עַל-יְהוָה (“Now it fell upon a day, that the sons of God came to present themselves before the LORD”), to Job 38:7: וַיָּרִיעוּ כָּל-בְּנֵי אֱלֹהִים (“and all the sons of God shouted”), to Gen 6:2: וַיִּרְאוּ בְנֵי-הָאֱלֹהִים אֶת-בְּנוֹת הָאָדָם כִּי טֹבֹת הֵנָּה (“and the sons of God saw the daughters of men, because they were fair”), as well as in the New Testament, when human peacemakers come to be called “sons of God”: μακάριοι οἱ εἰρηνοποιοί ὅτι αὐτοὶ υἱοὶ θεοῦ κληθήσονται (“Blessed are the peacemakers, for they will be called sons of God“). The use of the phrase “son(s) of God” in the Old and New Testaments does not automatically mean “INSERT JESUS’ NAME HERE”. Fourth: Simply employing symbolism does not an allegory make. So while some scholars have argued that the text is a distinctly Christian text, most scholars conclude that the text is distinctly Jewish, while allowing that the text may possess some evidence of later Christian tampering and reworking, especially those parts of the text involving Eucharistic interpretations of the meal of bread and wine found within the story. However, the attempts by multiple scholars (cf. Chap 1 of Chesnutt) to interpret the story allegorically ultimately fall short, as any allegorical interpretation must be highly selective of particular details, and therefore necessarily ignores many other details within the story that simply do not fit the supposed allegory, relegating claims of allegory to the realm of wishful thinking. The story must ultimately be read as what it is: a Jewish narrative apology for the patriarch Joseph’s mixed marriage, with possible, occasional Christian reworking. Keep in mind that there are all kinds of allegorical interpretations of biblical texts in the first centuries BCE and CE. Chapter 15 of the pseudepigraphical Epistle of Barnabas offers an allegorical interpretation of the Creation account from Gen. 1. The first century Jewish scholar Philo of Alexandria also offered allegorical interpretations of biblical events and figures (including Joseph). The difference here is that Mr. Jacobovici and Dr. Wilson are claiming an allegorical interpretation of a pseudepigraphical text, as if the text of Joseph and Aseneth were itself canonical. When all is said and done, Mr. Jacobovici and Dr. Wilson offer an allegorical interpretation of a Syriac translation of a (likely originally Greek) pseudepigraphical text, written to “clean up” the fact that the Hebrew patriarch Joseph married a non-Hebrew. Fifth: The text used as “proof” of Jesus’ marriage dates to the 6th century CE, and only hopeful speculation pushes the Syriac version of this text back to earlier centuries. The fact that the Syriac version is composed long after an established minority tradition that depicts Jesus as Mary Magdalene’s κοινωνός, or “companion” in the Gospel of Philip, or the Gospel of Mary, which states that Jesus “loved [Mary] more than the rest of woman” – a tradition that some modern interpreters and fiction writers have argued is evidence that the Mary mentioned is Mary Magdalene, and that the two were married – does not provide “evidence” that Jesus and Mary were married. It simply means that some later author was making a contribution to this tradition. BUT, because it is written after the others, it CANNOT be used as “evidence” of ANYTHING but a continuation of the already late tradition that Jesus was married. It would be like citing a favorable book review written by followers of Simcha Jacobovici three centuries after the publication of The Lost Gospel, and citing it as evidence that Simcha knows what he’s talking about. Such a review would contribute nothing to Simcha’s credibility, but would only serve as evidence that someone much later liked the book. Similarly, the Syriac version is a translation of a pseudepigraphical apology, upon which is forced Mr. Jacobovici’s allegorical translation. This is evidence of nothing. Sixth: (And please remember I originally wrote the following over a year ago.) 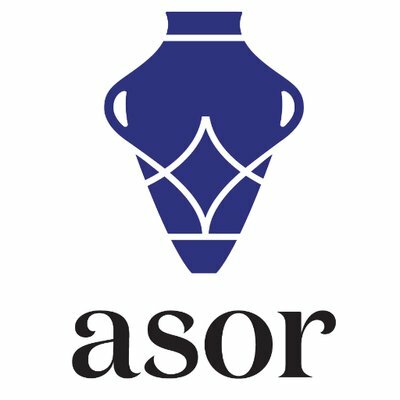 Anyone attempting an allegorical interpretation of Joseph and Aseneth, and arguing for anything other than an apology for why Joseph married a non-Israelite (and the daughter of a pagan priest at that), is grasping at speculative straws, and attempting (like the author of the Syriac text) to stretch the text into something it was never designed to do. Whether it be a gnostic interpretation of the text, or an attempt to argue something truly ridiculous and sensational, for example, that the story somehow represents Jesus and Mary Magdalene (as “Bride of God”, requiring an appeal to separate Gnostic texts like Pistis Sophia, the Gospel of Mary, and the Gospel of Philip), and that this allegorical representation from six centuries after the life of Jesus, relying on the weaving together of multiple Gnostic texts composed a full century after the life of Jesus, somehow provides “evidence” of aspects of Jesus’ actual, historical life – such allegorical interpretations are the height of unsubstantiated speculation. “While no one doubts the presence of symbolic and allegorical elements, the trend now is toward a method which recognizes those elements of symbolism and allegory which are straightforward and explicit in the narrative of Aseneth’s conversion rather than those supposed to be encoded deep within it.” (Chesnutt, From Death to Life, p. 45). Finally: The book’s methodology is highly problematic. Scholars won’t reject Mr. Jacobovici’s findings because of some “theological trauma” or a confessional, apologetic desire to preserve the Jesus described in the Bible. I’m an agnostic. I have no dog in the fight of whether Jesus was married or not. He could be married and have 4 kids like me and I wouldn’t care. The problem is not a theological one, it is one of scholarship, methodology, and the (mis)use of evidence. Scholars won’t reject Mr. Jacobovici’s claims because they want to defend Christianity, scholars will reject Mr. Jacobovici’s speculations because he engages in circular reasoning, lacks evidence, breaks any number of rules of textual criticism, and engages in what I’ve described in the past as “speculation wrapped in hearsay couched in conspiracy masquerading as science ensconced in sensationalism slathered with misinformation” – all of which is designed to sell books and get viewers to watch the accompanying documentary in the weeks leading up to Christmas. 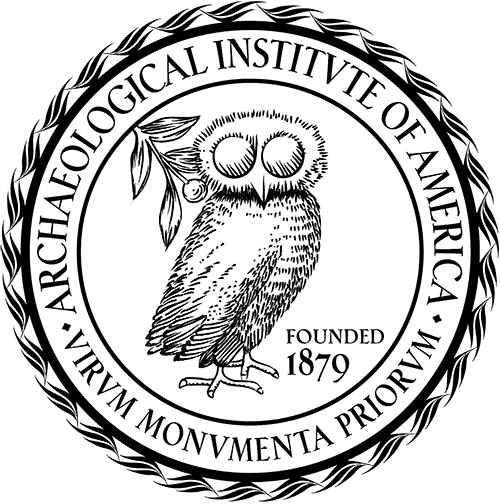 So in my professional opinion as an archaeologist and a tenure-track professor at a major research university (GO HAWKS! ), I must recommend against this book. Just don’t bother. Were it a Dan Brown-esque novel, positing a speculative interpretation about the relationship between Jesus and Mary Magdalene utilizing a fanciful allegorical interpretation of a document written six centuries after Jesus came and went, I’d say buy it and have fun. Fiction can be so much fun! But the problem with this book is that Mr. Jacobovici believes what he’s writing. He believes his interpretation is true. He wants it to be true. And that hovers somewhere between comical and scary. I HAVE read the book and it really is worse than you might imagine. The text in question is neither “lost” nor a “gospel”, and the allegorical reading of the Syriac version of Joseph and Aseneth is little more than a wishful hope that it would be so, employing little more than name substitution and a desire to prove The DaVinci Code true. Absolutely no scholar will take this book seriously. It will not change Christianity. It will not change biblical scholarship. It’s just Simcha doing what he does best: direct-to-the-public pseudoscholarship just in time for Christmas. As pointed out in the 2012 book, SAINT PAUL’S JOKE, where the Jesus timeline is reviewed, the bible, Jewish custom, and the gospel of Peter all provide indications that Jesus was married to Mary. First, Jewish men were expected to marry at 20 or so, were Jesus not married, it would have been a good denunciation point when he was challenged by the Pharisee. Next, Peter has Jesus and Mary kissing repeatedly and romantically. Again, improper if they weren’t married. Finally, Mary washes Jesus’s body for burial … the job of a wife or female family member. His being married is perfectly reasonable … until he is made into a Hercules figure in 300CD, when the existence of a possible descendant line creates a threat to the new Roman power structure. How long until Simcha starts threatening you with law suits? Shall we start a pool? Simcha is not going to sue me. For one, he’s a smart guy, and he knows I haven’t done anything illegal. Simcha has every right to ply his trade, and I have every right to point out where his logic is faulty. This is a public exchange of ideas. This is free speech at its best. Thanks for a good and thorough review. I read The Da Vinci Code soon after it came out because it was given to me as a gift. Thing is, I actually enjoyed reading it. It was an engaging novel. Except . . . whenever it talked about the Bible and anything else I actually knew something about, it was so inaccurate as to be atrocious. I had to disengage my Biblical chops to be able to enjoy the story as a fictional piece. The fact that some people think of it is fact, or even as plausible theory, is rather depressing. Then again, the world is filled with misinformation about the most basic things. @Bill Schreck – Where does the Gospel of Peter indicate that Jesus and Mary Magdalene were “kissing repeatedly and romantically”? Perhaps you are thinking of a different text. “direct-to-the-public pseudoscholarship just in time for Christmas”. Hmm, sounds like what PBS loves to run around Christmas or Easter time, “respectfully” debunking Christianity. Cargill’s so-called “review” of The Lost Gospel is silly and unprofessional. It’s silly because he claims to be a prophet, having had these negative thoughts before the manuscript was delivered to the publishers and before the book was released to the public. Amazing clairvoyance, if true. Somehow he’s threatened by the idea of a human, Jewish, and, yes, married Jesus. I’m not sure what his problem is but it has nothing to do with a careful consideration of the evidence. Which, of course, is what scholars take pains to do, but not this “tenure-track” academic. A so-called book review based on viewing a few scattered pages on Google does not do justice to a 544 page investigative analysis, plus 1st ever translations plus footnotes, that took 6 years to work through. The so-called review reads like a personal vendetta. It’s completely unprofessional, not what we’d expect from a scholar. He clearly hasn’t read the book. He makes mistakes that any junior grad student in early Christian studies would not make, confusing allegory with typology. Syriac Christianity employed the latter interpretive tool as their extant sermons and writings make clear. They saw scripture differently than did the allegorists and do modern interpreters. Guess he missed that chapter. What he also missed was what the 2 covering letters tell us about the ancient manuscript, the environment in which the manuscript was found and the whole cultural context of Syriac Christianity. He also missed the meaning attributed to Jesus’ marriage. Here we have an exciting theology of love, not death. Of passion, romantic passion that requires an intensity to make relationships work, not the passion of passive suffering. Of life that engages with the real issues that humans face, not beliefs or creeds or statements of faith. Of a human Jesus with whom we can identify, not an ethereal deity who floats through existence to his death. So he missed all this. He missed the “gospel,” the good news of a theology of life, not death. Guess he didn’t read the book. If an undergrad submitted such a review to me, building on snippets, surmise, innuendo, he’d fail. 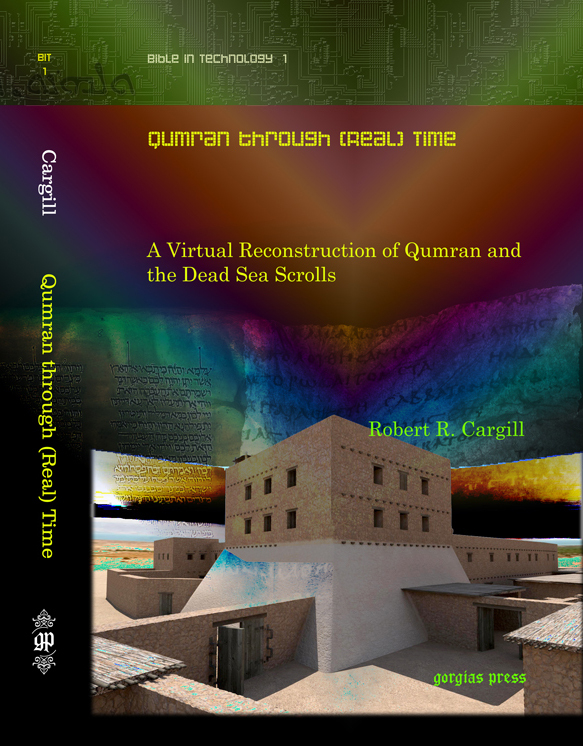 1st, Google posted your book online. No clairvoyance needed. 4th, claiming that the book “took 6 years to work through” is like a student saying “but I worked so hard” on a failing paper. No one cares how long you worked on the book, they care about the methodology and the conclusions, which let’s face it, will convince very few. 5th, you are responding to a blog, not the RBL or Marginalia Review of Books. You co-authored a popular book with a non-scholar, so the best you can hope to receive is a popular book review on a blog written for a popular audience employing the same sensational language you employ in the book. 6th, condescending to me as a ‘grad student’ only betrays how unsure you are in your own position. I mean, you’re welcome to do so, but you realize others are going to read this response, correct? 7th, allegory is one thing. However, claiming that a 6th C. CE allegory is somehow “historical” breaks almost every rule of text criticism. 8th, I didn’t go into a commentary of your allegory because I object to the aforementioned methodology of reading 6th century allegory as ‘historical’. If you’re headed in the wrong direction, what good is it to comment on every milepost along the way? 9th, whatever you want to say about the gospel is fine. And finally, if I ever turned in a blog post reviewing your book as a classroom assignment, I’d fail me. People often sell Jesus for a price and succeed because Jesus sells. Judas first sold him and from then on different people have followed this trend. An allegorical statement cannot be the proof of assertion especially when there is not a single mention of the names they like to codify. What these writers are aiming is not the truth but an allegorical sell out for fame and dollars!! I find all of this humorous. The simple fact is there is nothing but speculation. Jesus may or may not have actually existed. You can make a pretty strong historical case that he didn’t but nothing definitive either way. It’s a religion. It’s myth, possibly mixed with a little fact. There is so much contradiction in the accepted canon that you really don’t have to look outside for absurdity. HI Dr Cargill – hope you don’t mind but Ive posted a link to this review on the Independent’s comments section which published an extract from the book in April 2016 (just around Easter!) . Hope that’s ok.
Adam and Eve, Aseneth and Joseph, Jesus and Mary. The beginning and the end, the first and the last, is an Alpha Omega Marriage on the Island of Patmos. Legally and Contractually. It’s one of Plato’s Forms. Please Read Revelation 22. The coming of the Spirit and the Bride. It’s amazing that everyone who studies scripture is still in the dark. Both Socrates and Jesus Forms were executed for not believing in the Gods, with whom the City and State believes in; which is Athena. The Lost Gospels is on the right track. Scratching the surface. Knocking on Athena’s door. “And in the days of these “Philosopher Kings and Queens,” shall the “Goddess” of Heaven set up a kingdom, which shall never be destroyed: and the kingdom shall not be left to other people, but it shall break into pieces and it shall consume all these kingdoms, and it shall stand forever.” –The Book of Daniel, Chapter 2, Line 44, King James Holy Bible. Deny our Lord and Lady Pallas Athena and Jesus Christ’s Marriage three times? Lose all rights to eat the forbidden fruit of the tree of knowledge of good and evil interest and profits. —Athena’s Antichresis Apostle Agreements. Where does that leave Saint Peter, the Vatican and Holy See? “X” marks the spot and Athena needs a suitable location to build her Church and City and State. It’s a modern day shot-gun clause with Biblical proportions. The Goddess is back. God Bless. Amen. Athena. The argument that Jews married at 20 as evidence that Jesus was married is laughable. Paul (formerly Saul) was an ardent follower of the “law”, yet at the time of his calling he was still single. He was 36. I have yet to find any text that says that Mary Magdalene washed Jesus’ body for burial. All I know is that Joseph of Arimathea took his body and buried it after direct clearance from Pilate. The women only came later to perfume the body..